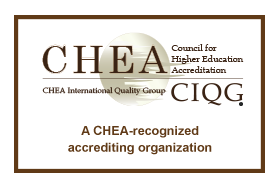 The Commission on Sport Management Accreditation is a specialized accrediting body whose purpose is to promote and recognize excellence in sport management education worldwide in colleges and universities at the bachelors, master's and doctoral levels through specialized accreditation. Excellence in sport management education has many different components that must be considered during the evaluation process. The sport management program has a clearly defined and relevant mission and broad-based goals that are consistent with those of the institution. The sport management program has a strategic plan that is in touch with the realities of sport management education and the marketplace, and that is consistent with the strategic plan of the institution. This strategic plan is driven by the approved mission and broad-based goals of the sport management program. The sport management program has developed and implemented an outcomes assessment process that promotes continuous improvement in the sport management programs and operations, and that is linked to the strategic plan of the sport management program. Students in the sport management program develop, both personally and professionally, into well-educated, ethical, competent sport management professionals. The sport management program operates in an environment that encourages and promulgates innovation and creativity in sport management education. The sport management program has meaningful and effective linkages between the classroom and practitioners in the sport management community, thereby providing assurance of relevancy and currency in the academic programs. The sport management program encourages cooperative relationships with other educational units, both external and internal, which are consistent with its mission and broad-based goals. Faculty in the sport management program model ethical character and integrate ethical viewpoints and principles in their teaching. Faculty in the sport management program are effective teachers who are current in their fields and active in their professional contributions to their institution and discipline. Further, the faculty are positively engaged within their sport management program and contribute to its mission and broad-based goals through appropriate faculty development and faculty evaluation processes. The mix of academic and professional credentials of the sport management faculty is worthy of the respect of the academic and sport marketplace communities. The mission of the institution and its sport management program is effectively communicated to current and prospective students. The institution provides adequate resources to the sport management program to accomplish its mission and broad-based goals. The curricula in the sport management programs reflect the mission of the institution and its academic unit, and are consistent with current, acceptable practices and principles of professionals in the academic and sport marketplace communities. The curricula in the sport management programs ensure that students understand and are prepared to deal effectively with critical issues in a changing global environment. The content of sport management courses is delivered in a manner that is appropriate, effective, and stimulates learning. The sport management program recognizes the role of practical and experiential learning as a relevant component of sport management curricula. The institutional organizational structure supports excellence in sport management education.